CANTON, MA (September 27, 2018) – Just ahead of National Coffee Day this Saturday, Dunkin’ and National DCP (NDCP), the franchisee-owned supply chain management cooperative, today announced a five-year agreement with World Coffee Research (WCR), a nonprofit collaborative research and development program of the global coffee industry, to boost coffee sustainability. A percentage of sales from every pound of Original Blend coffee beans sold to Dunkin’ franchisees for use in Dunkin’ restaurants will now go to WCR in support of coffee sustainability efforts. This financial contribution, which could amount to $2MM over the course of the agreement, will support WCR’s mission to grow, protect and enhance supplies of quality coffee, while improving the livelihoods of the families who produce it. 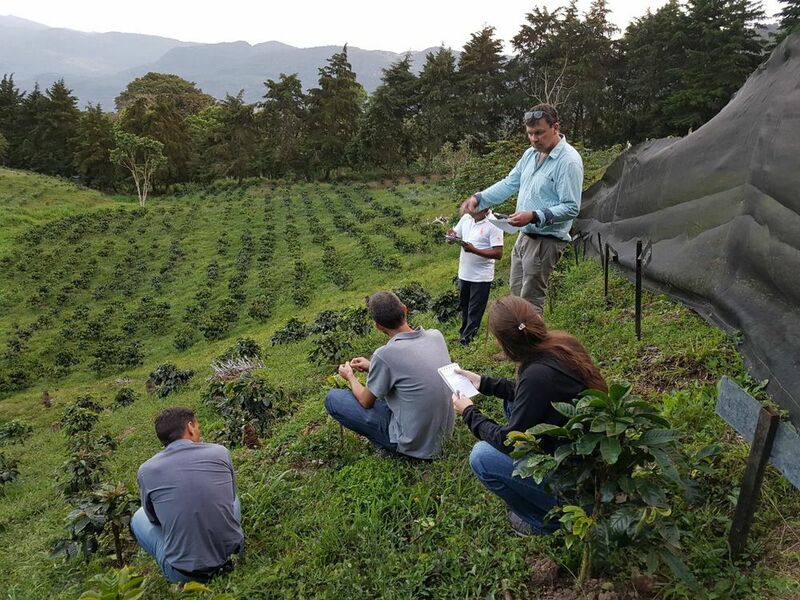 Dunkin’ continues to make important progress towards its coffee sustainability goals. In 2017, Dunkin’ expanded its current work with the Rainforest Alliance to have all espresso beverages served at Dunkin’ U.S. restaurants and in approximately 16 international markets made with 100% Rainforest Alliance Certified™ beans. Dunkin’ and NDCP are working with Rainforest Alliance to increase its Dark Roast Coffee to 100% Rainforest Alliance Certified™ beans. In European markets, Dunkin’ restaurants also serve Fair Trade certified espresso. Earlier this year, Dunkin’ announced plans to eliminate all polystyrene foam cups in its global supply chain, with a targeted completion date of 2020. In U.S. restaurants, Dunkin’ will replace the foam cup with a new, double-walled paper cup. 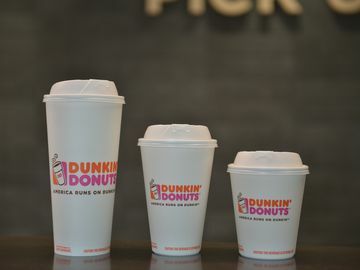 The majority of Dunkin’s international markets are currently using paper cups, and the brand will work with its franchisees to eliminate foam cups from the remaining international markets by the 2020 goal. Dunkin’s transition to paper cups is expected to remove nearly 1 billion foam cups from the waste stream annually. In 2014, Dunkin’ launched DD Green™ Achievement, a program designed to help franchisees build sustainable, energy-efficient restaurants in the U.S. There are now approximately 186 DD Green Achievement restaurants around the country. Dunkin’ Brands has set a target to open 500 DD Green Achievement restaurants in the U.S. by the end of 2020. Additionally, Dunkin’s next generation concept store now being introduced into the system is approximately 25% more energy-efficient than the previous restaurant model. To learn more about Dunkin’, visit www.DunkinDonuts.com, or subscribe to the Dunkin’ blog to receive notifications at https://news.dunkindonuts.com/blog. To learn more about corporate social responsibility and sustainability at Dunkin’ Brands, visit www.dunkinbrands.com/responsibility. National DCP, LLC is a $2 billion supply chain management company serving the franchisees of Dunkin’ Donuts. The organization leverages its expertise in sourcing, purchasing and distribution to provide comprehensive business solutions including food, beverages, supplies, packaging, technology and healthcare to more than 9,200 quick service restaurants and locations in the U.S. and 51 countries. NDCP was formed following the successful merger of five different operating companies in 2012 to support Dunkin’s growth and expansion plans. The company employs more than 1,700 team members at its headquarters in Atlanta, regional distribution centers, and logistics hubs throughout the U.S. Named 2016 Partner of the Year by Dunkin’ Brands, NDCP’s work has also been recognized with Food Logistics' Champions: Rock Stars of the Supply Chain Award in 2017 and 2018, the 2016 InformationWeek Elite 100 List (ranked #28) and the Supply Chain Pioneer Award from Partnership Gwinnett in 2015. 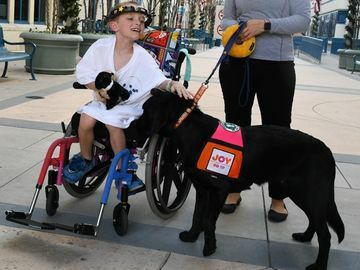 Visit https://nationaldcp.com/ to learn more.